Filed to: what sorcery is this? !Filed to: what sorcery is this?! In any other country in the world, this would not be news. But nevertheless, take a deep breath and get ready to hear something big: a Trump administration official used scientifically accurate terms to talk about climate change. This represents a huge turnaround from Bridenstine’s previous position, something he acknowledged earlier in his answer. As a member of Congress, he said during a 2013 floor speech that temperatures stopped rising 10 years ago (they didn’t) and that “global temperature changes, when they exist, correlate with sun output and ocean cycles” (they don’t when it comes to the recent warming trend). In his confirmation hearing, Bridenstine inched closer to acknowledging the scientific reality of climate change, but stopped short of saying to what extent human carbon pollution was causing it (the answer is virtually all of it). In that light, Thursday’s town hall is a huge breakthrough. No Trump appointee has come even close to plainly stating this reality. In fact, folks like Scott Pruitt and Rick Perry said some semi-accurate things in their confirmation hearings only to fall back on saying extremely wrong things once they were confirmed. He spoke highly of the NASA’s carbon-monitoring satellite program, Orbital Carbon Observatory. 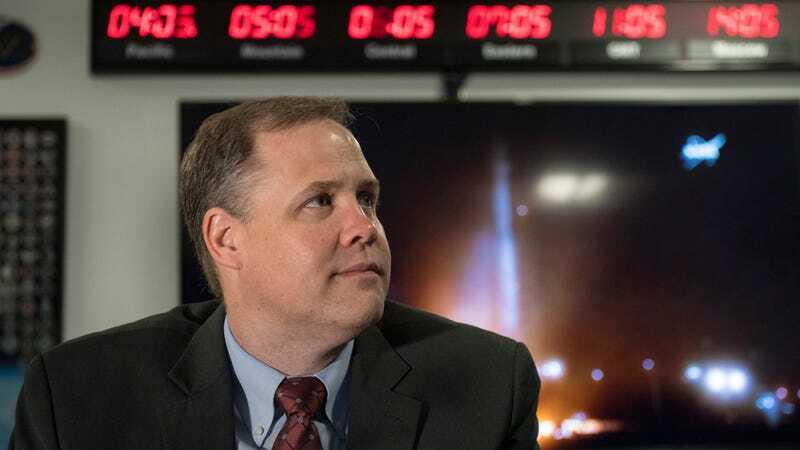 The program’s third satellite was slashed in Trump’s budget, but Congress put it back in and Bridenstine said the agency would go forth with the launch in January. One part of the question that Bridenstine didn’t answer, though, was what would happen to the Carbon Monitoring System that was recently quietly canceled. But hey, progress is progress. Maybe Bill Nye got through to him after all.